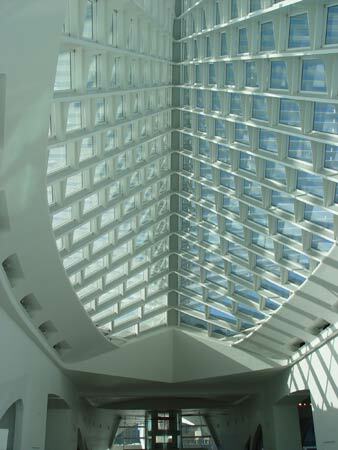 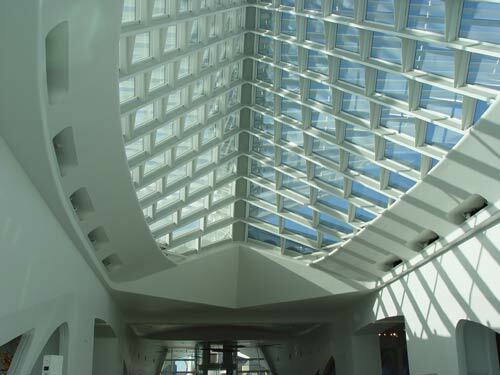 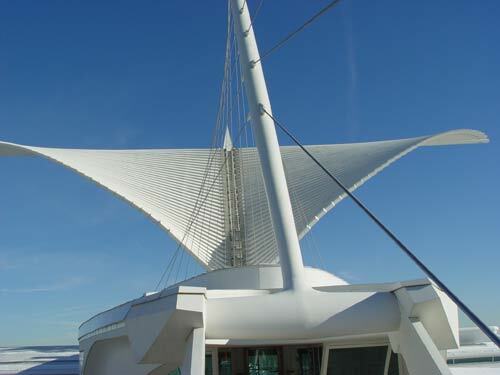 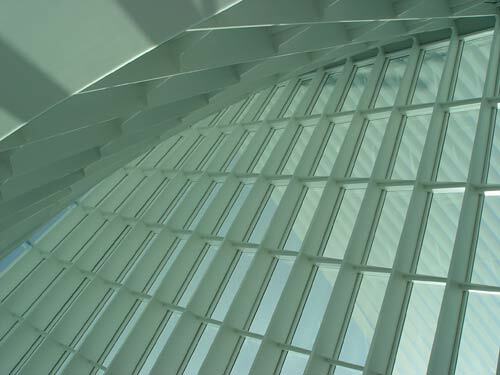 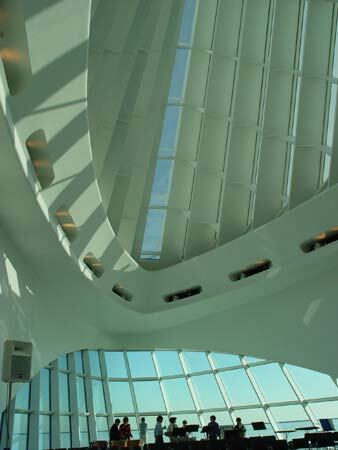 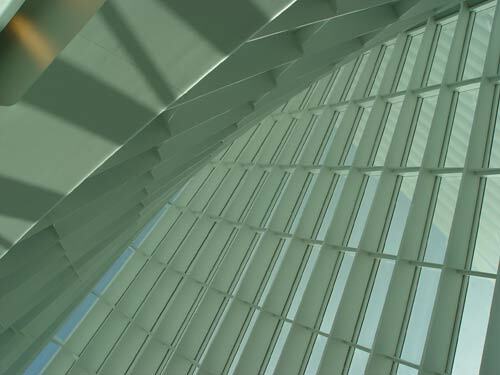 From www.calatrava.com: The "pavilion-like construction features a spectacular kinetic structure: a bris-soleil with louvers that open and close like the wings of a great bird." 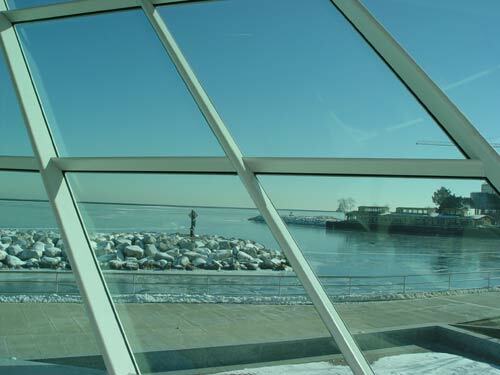 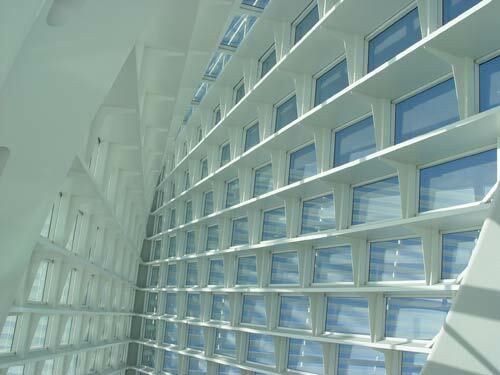 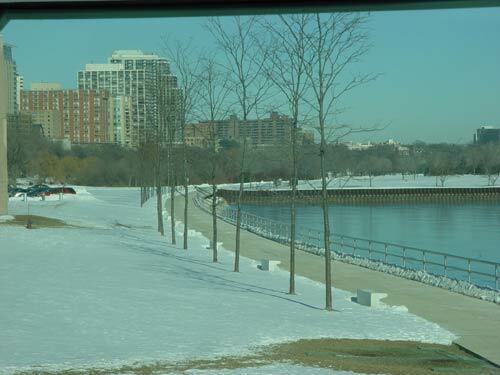 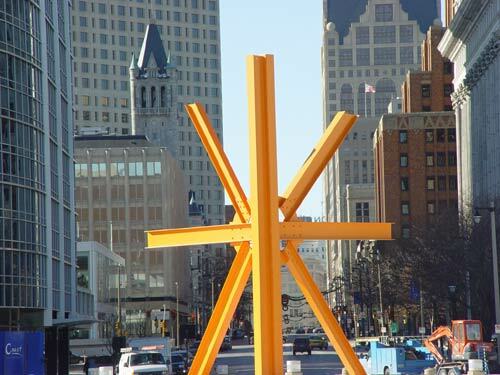 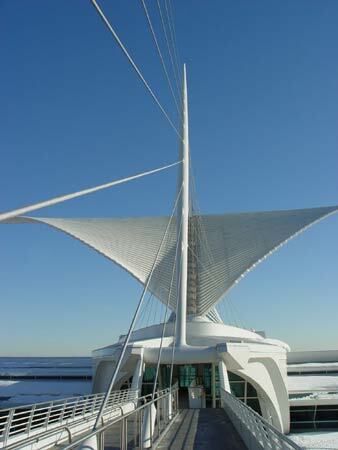 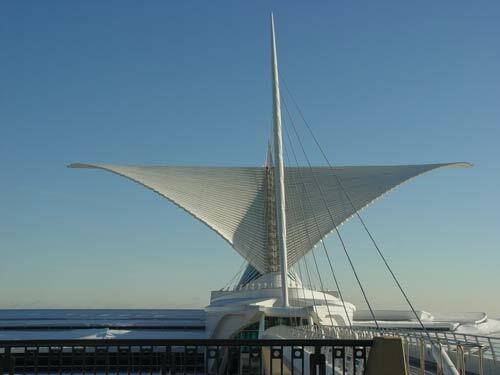 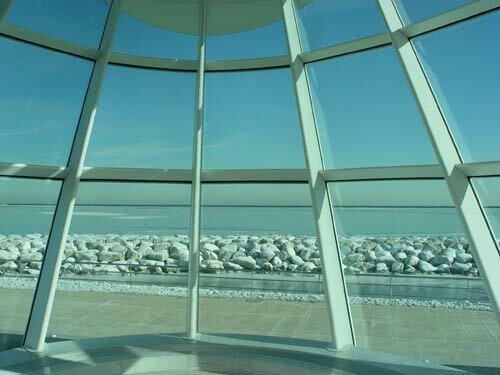 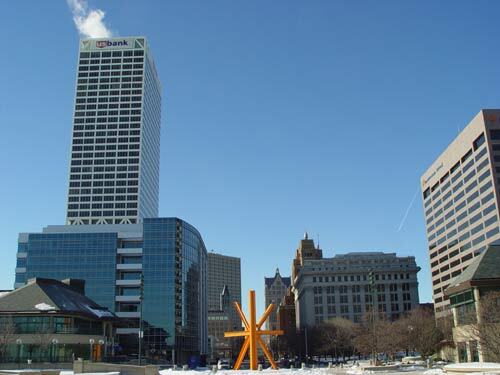 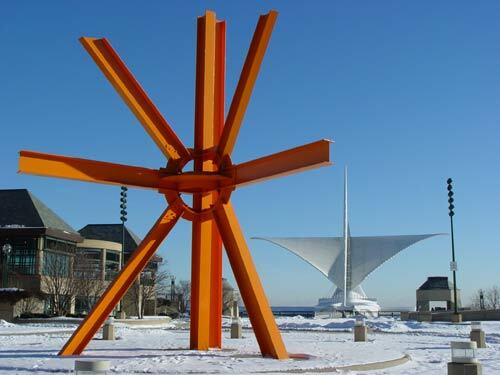 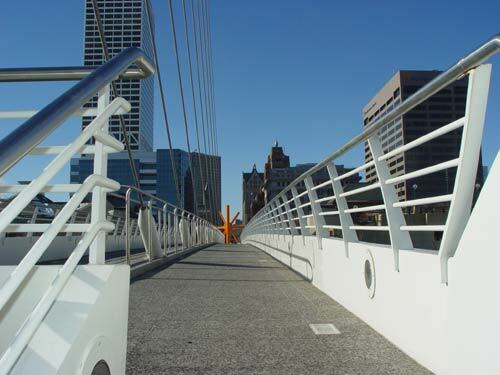 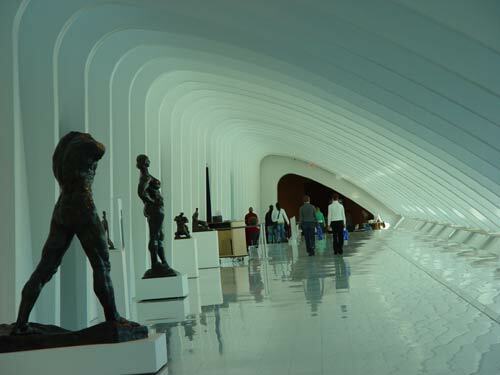 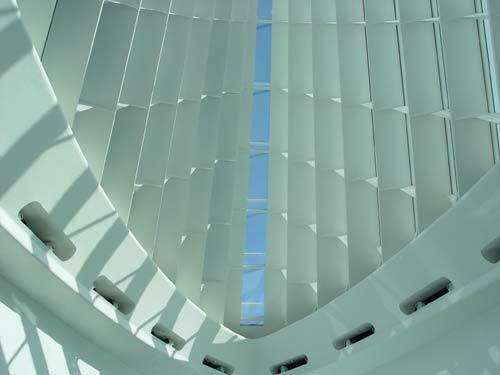 On a bitterly cold day in late December 2005, I photographed the recently completed new annex to the Milwaukee Art Museum, an incredible work by the renowned architect Santiago Calatrava. 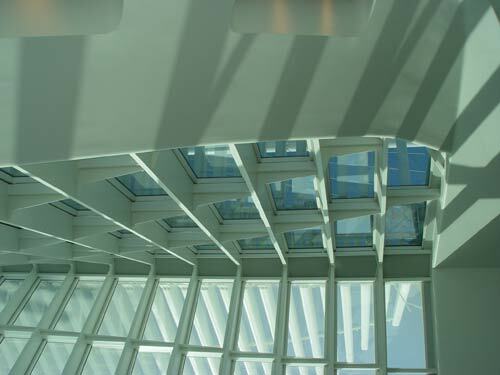 I'm not the only one to have photographed this beautiful addition to the much more conservative Art Museum, nor have I captured any better than other photographers its sweeping white lines, the grace of the open sun-shade as it appears to take flight into the metallic blue sky over Lake Michigan, or indeed its internal lattice-work of ribs framing the windows that bring warming natural light into its brilliant white cathedral-like grand hall. 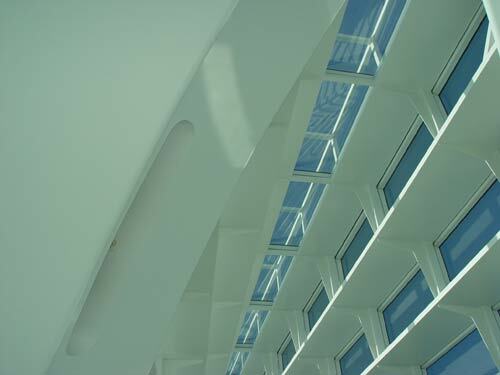 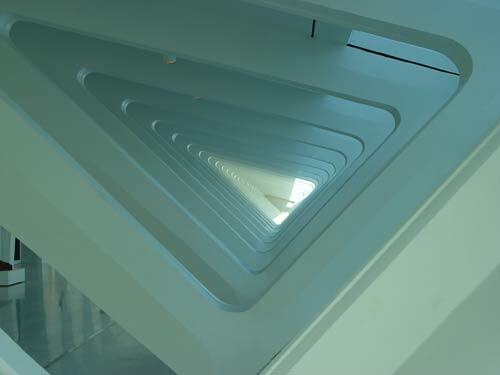 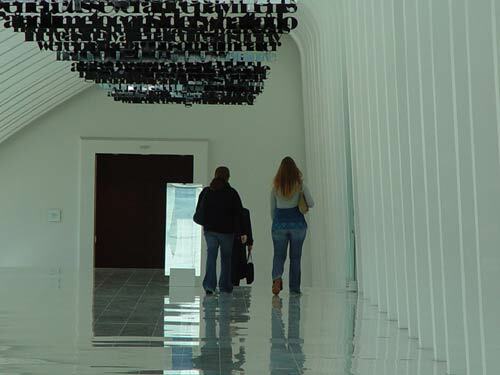 No, I'm not the only one, but I'd like to share these photos because standing either inside or outside the Calatrava is so inspirational and awe-inspiring. 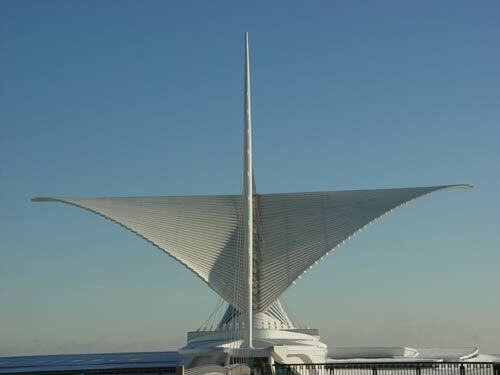 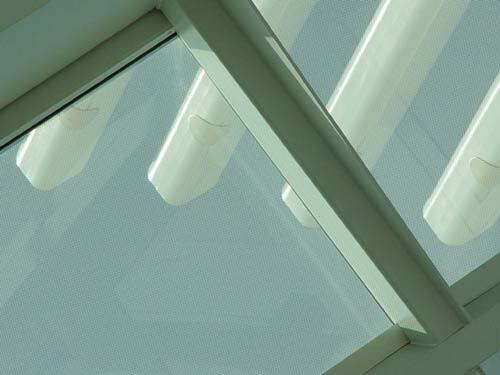 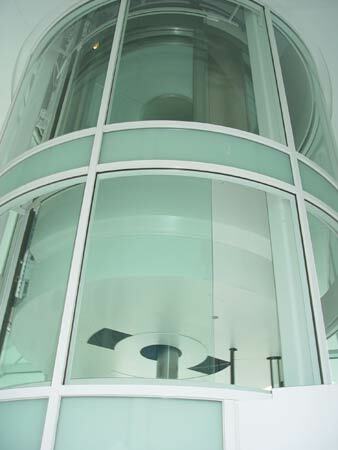 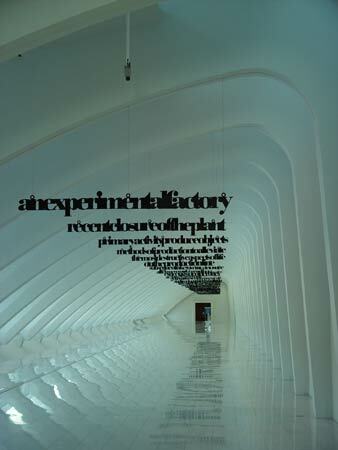 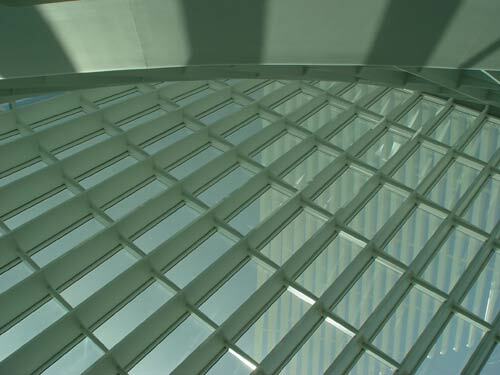 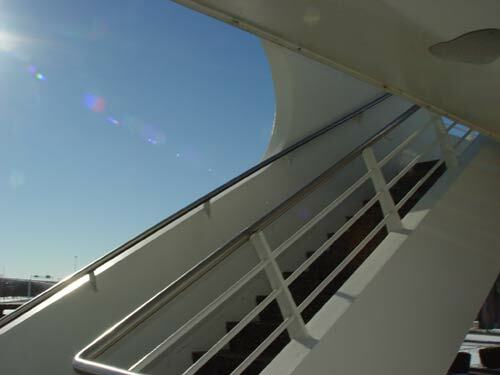 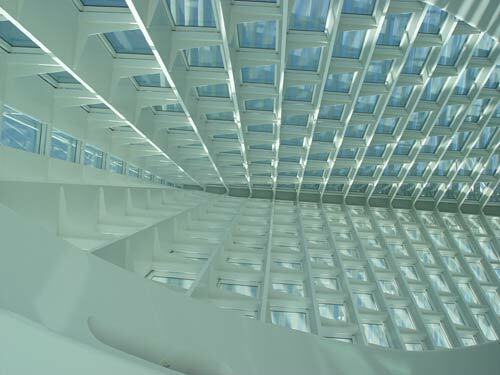 Seeing the great wings opening and allowing the sun's rays to touch the white structure can't adequately be described. 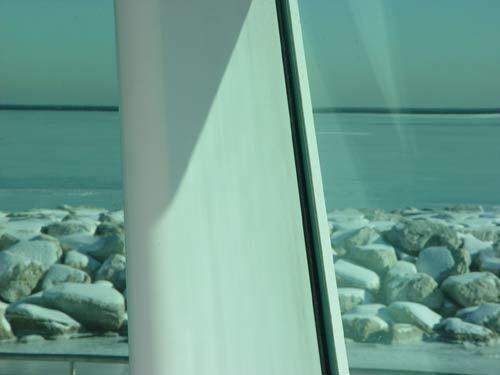 I hope this series of pictures does justice both to the building itself, and to its location on the brink of the frozen lake in the early deep winter.